Synopsis: This early work by Nikolai Gogol was originally published in the 19th century and we are now republishing it with a brand new introductory biography. 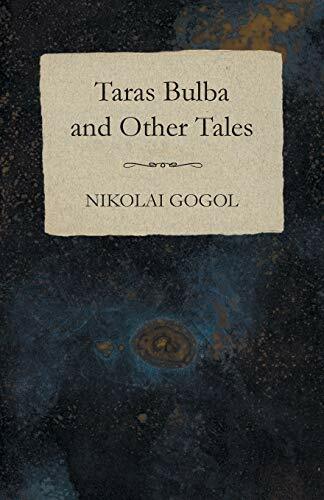 'Taras Bulba and Other Tales' is a collection of short stories that include 'St. John's Eve', 'The Cloak', 'How the Two Ivans Quarrelled', 'The Mysterious Portrait', 'Calash', and 'Taras Bulba'. Nikolai Vasilievich Gogol was born in Sorochintsi, Ukraine in 1809. In 1831, Gogol brought out the first volume of his Ukrainian stories, 'Evenings on a Farm Near Dikanka'. It met with immediate success, and he followed it a year later with a second volume. ‘The Nose’ is regarded as a masterwork of comic short fiction, and ‘The Overcoat’ is now seen as one of the greatest short stories ever written; some years later, Dostoyevsky famously stated “We all come out from Gogol's 'Overcoat'.” He is seen by many contemporary critics as one of the greatest short story writers who has ever lived, and the Father of Russia's Golden Age of Realism.